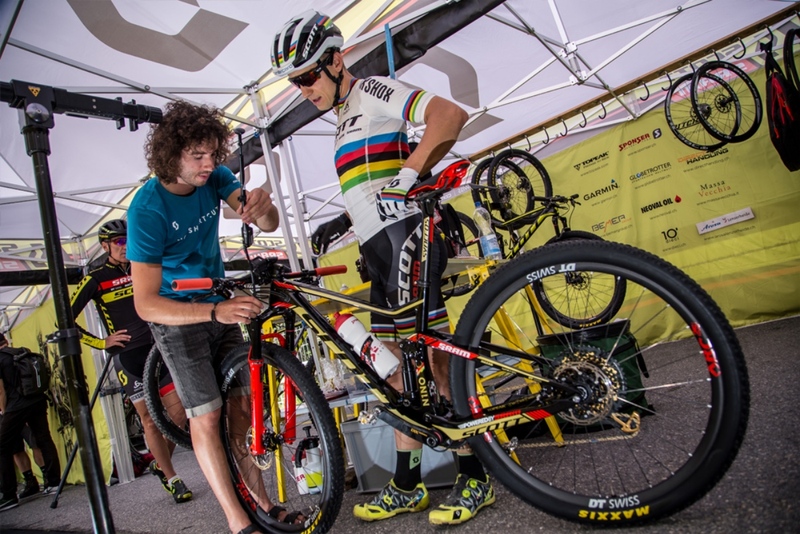 Yanick the Mechanic is Nino Schurter’s right hand man for suspension setup. 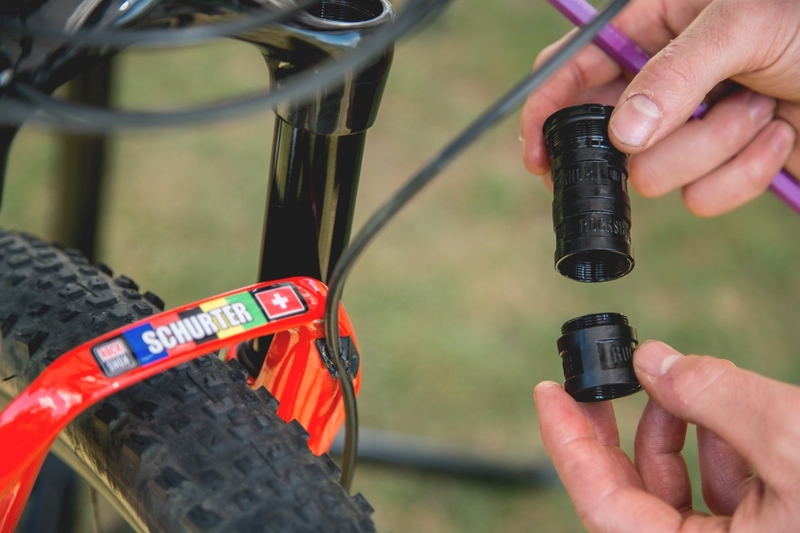 Ever wondered whether you’re riding with the suspension dialed in correctly? What if you aren’t and this is keeping you from unleashing your hidden potential as a mountain biker? XC race bikes need special attention paid to their suspension setup. A properly working suspension setup makes a huge difference. 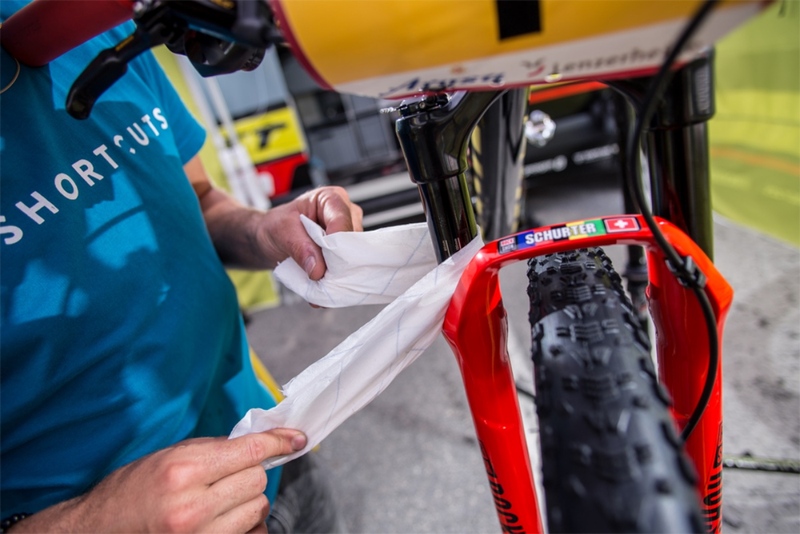 Yanick the Mechanic, the main wrench for the cross-country World Champion Nino Schurter, has lots of tricks to guide you through the suspension setup process. 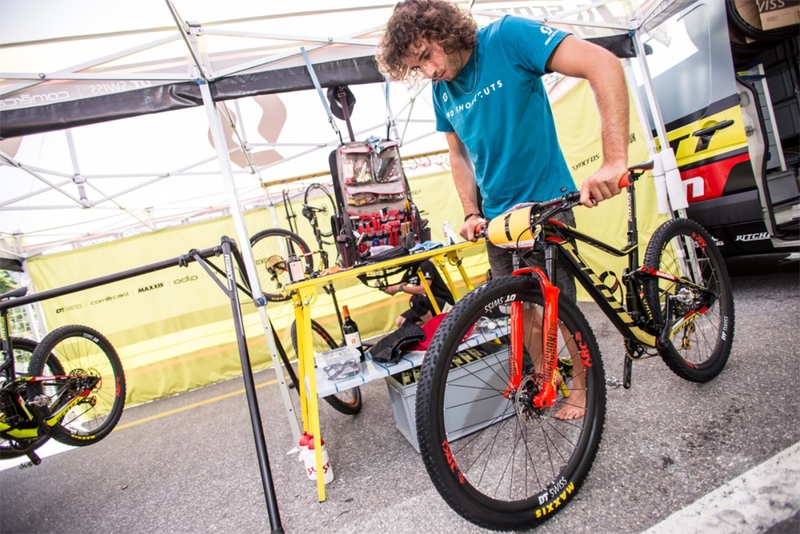 SCOTT-SRAM MTB Racing’s Yanick the Mechanic fine tunes World Champion Nino Schurter’s suspension regularly. Keep the fork and rear shock clean and lubed to maintain peak performance. 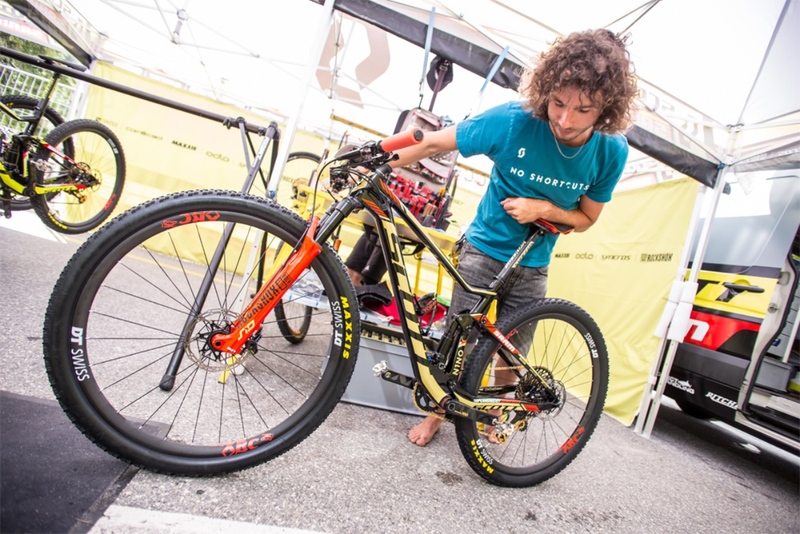 As one of the most skilled mechanics on the XC circuit he shares his insights into Nino’s suspension setup and preferences when it comes to riding World Cup cross-country laps all around the world. From adjusting rebound and compression damping to adding spacers – constantly fine tune your suspension system for a better riding experience. To learn more head over to www.scott-sports.com. Adapt suspension setup based on riding style and terrain conditions.